Business models found among the social media industries and social media as a form of marketing. Social media as a form of entertainment content, both in terms of digital content, and as a tool in the production of news. Discussions of ethics and privacy as applied to the area of social media. An examination of audience uses of social media considering differences among Latinos, African-Americans, and people over the age of 35. 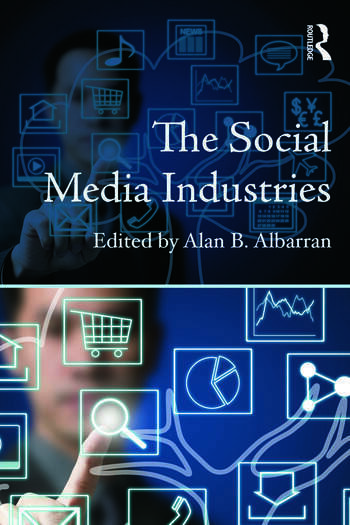 Overall, the volume provides a timely and innovative look at the business aspects of social media, and it has much to offer scholars, researchers, and students in media and communication, as well as media practitioners. Alan B. Albarran is Professor and Chair of the Department of Radio, Television and Film at the University of North Texas. His teaching and research interests revolve around the management and economics of the communication industries. The Social Media Industries is the fifteenth book he has written/edited during his career.